The cooker has been taken of the boat due to an insurance reason but it is perfectly working. 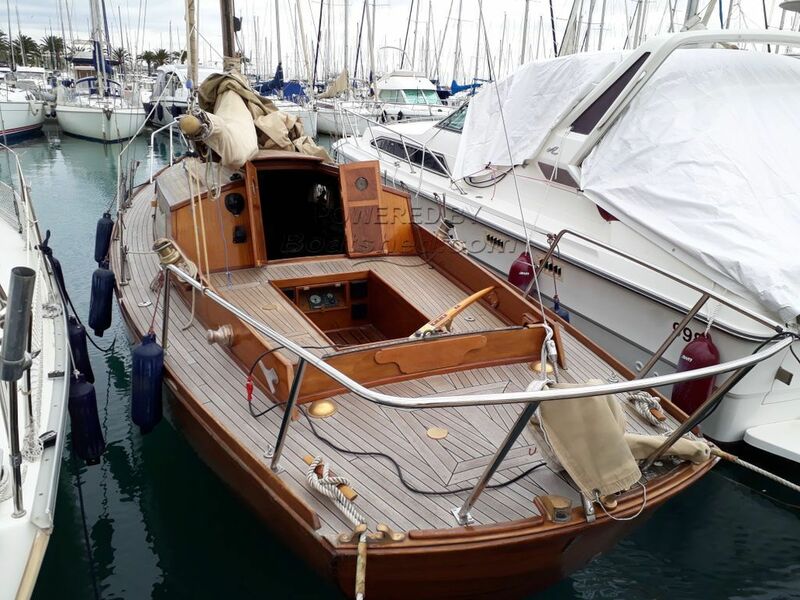 This beautiful Victoria 31 series has been completely restored in 2004. Her previous owners always took care of her. Some elements have even been coated with gold powder. Wood pulleys are just masterpieces. Engine is from 2006 and doesn´t have corrosion. tiller has a slight amount of play. She needs in a very few little parts new varnish but this will be done in the coming weeks. This Vader Victoria 31 has been personally photographed and viewed by Antoine Perrin Daragon of Boatshed Riviera. Click here for contact details.